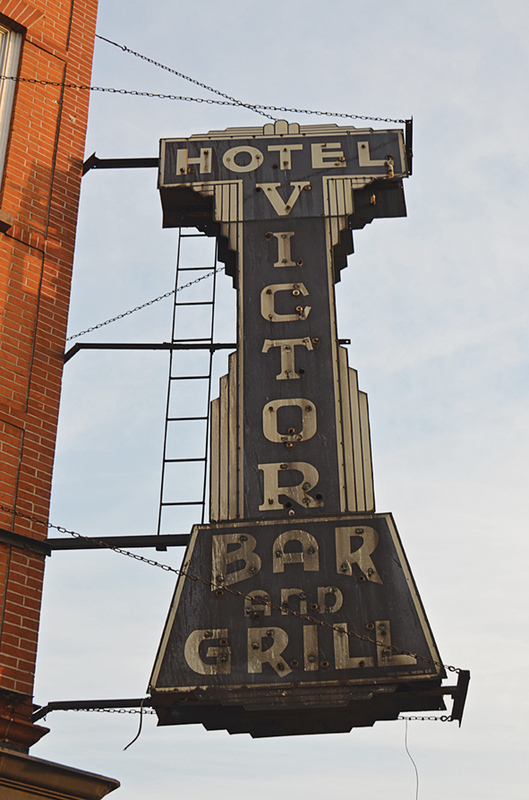 One of the most iconic signs in Hoboken hangs above this popular pub: the one that once graced the old Victor Hotel. The vertical letters of the vintage sign, a little worse for wear, evoke an earlier era. 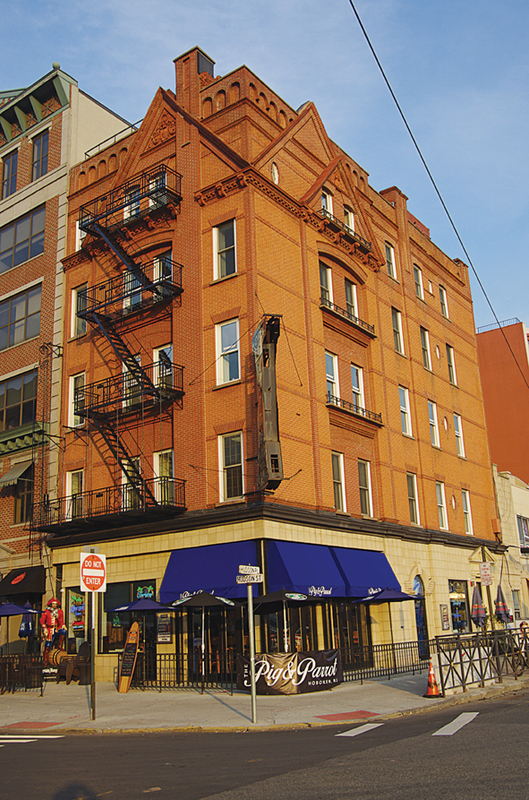 But this part of town, smack in the middle of its bustling transportation hub, has always been a hotbed of activity. The only difference is that now, new taverns and restaurants cater to obsessive texters, Instagrammers, and other habitués of the 21st century. 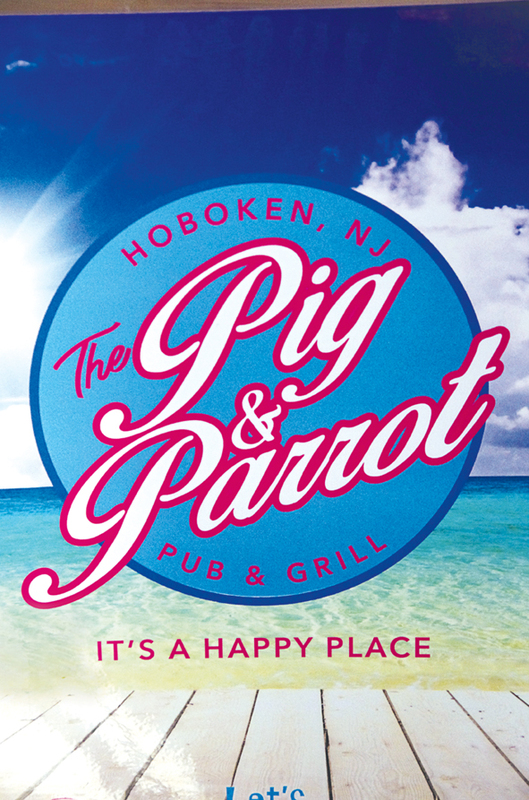 The Pig & Parrot has brought a taste of Key West to downtown Hoboken. 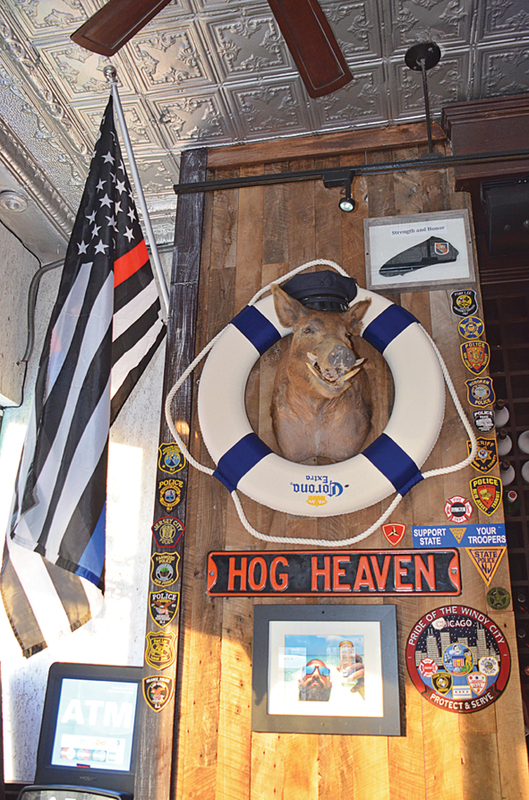 If you’ve ever been to Key West, it’s not such a stretch. 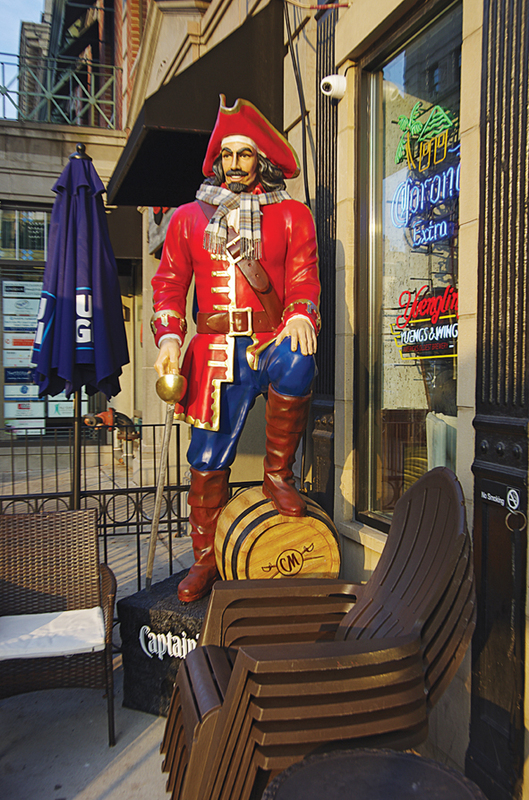 Both are vibrant, happening towns with artists, innovators, and great watering holes. 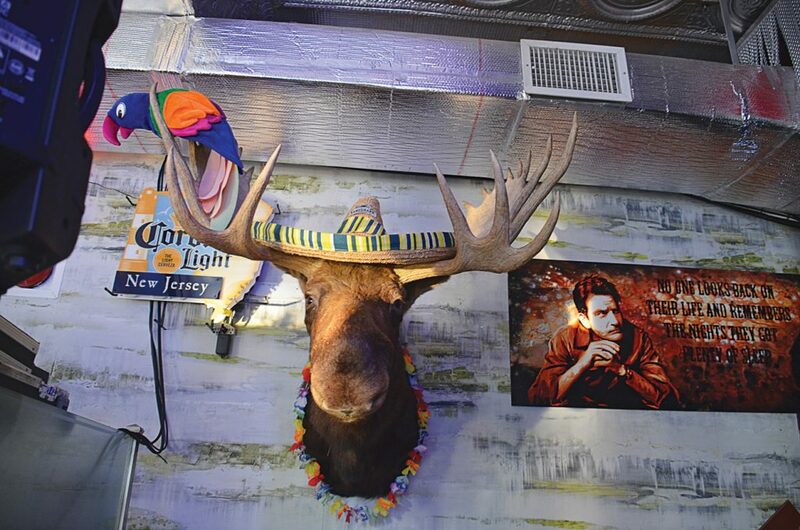 The place has a friendly feel. 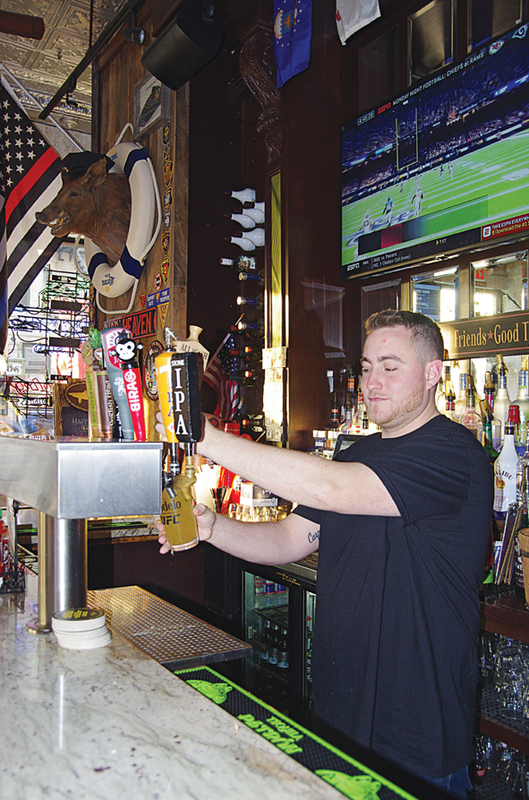 It’s usually pleasantly packed with sports watchers and a diverse demographic of patrons enjoying Happy Hour or a really late evening; the bar closes at 3 a.m. The Key West vibe comes from a few well-chosen design elements and a bit of turquoise ocean in the color scheme. 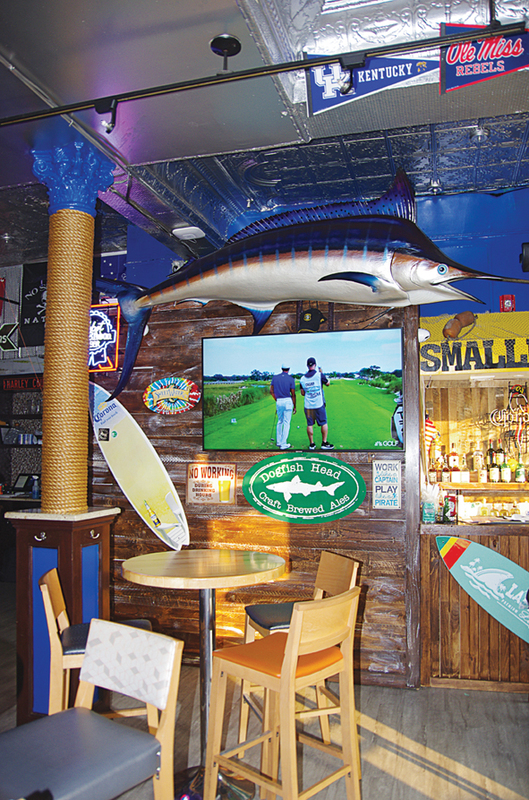 Not to mention the menu, which features the Key West Combo, a troika of coconut shrimp, grouper fingers, and fried green tomatoes; Key West Chicken, made with citrus marinated chicken, pepper jack cheese, avocado, and tomato; and of course the iconic Key Lime pie. 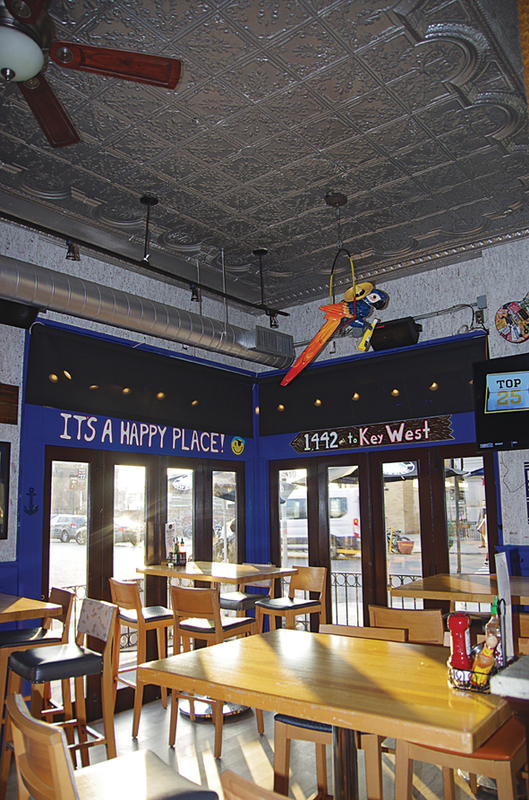 A host of other options includes a wide selection of quesadillas, sandwiches, burgers, flatbreads, and rice bowls.